Looking for a vehicle to use for family vacation with 5 adults and 2 children and their luggage. Will consider van, SUV, or minivan. 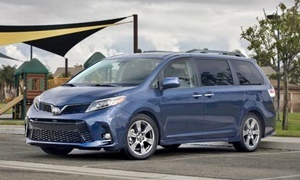 This is a common connundrum for growing families, and people find reasons to justify going with one of the numerous 3 row SUV's out there to avoid the "minivan stigma", but if you look at it objectively, the Minivan wins in almost every category, except towing and off-roading. 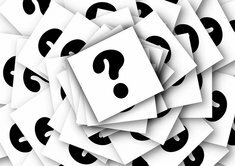 Sure, most minivans don't offer 4 wheel drive, but with modern stability control systems and traction control, it is really seldom that you need it, especially given that a good set of snow tires is much less expensive than a 4wd system. 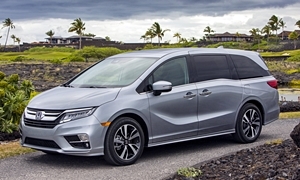 Compared to a similarly priced 3 row SUV, minivans ride better, handle better, have better ground clearance, have more interior space, etc..... Also, with kids, power sliding doors is an absolute godsend, and you don't have to worry about the kids giving adjacent cars dings. I am an automotive enthusiast and took one for the family by driving a minivan for 6 years - a 2008 Odyssey. I came to appreciate the utility of the vehicle. We went on cross country road trips with 7 people, I have hauled stacks of 4x8 drywall and plywood, 12' fence posts, filled it with road bikes for my wife's triathlon's, etc....... My wife now drives a 2012 Odyssey Touring as it is now her turn. We recently got back from a cross country road trip for spring break where the van averaged 28 mpg on the highway. Also key is that all rows of seats recline. This generally isn't true of SUV's and is a big benefit on a road trip. Pare it with a roof carrier and you have huge cargo possiblities for road trips. There are plenty of options out there. Honda and Toyota make the best options. The Odyssey is a bit sportier and the Sienna is a bit more cush. Sienna offers AWD, but they are hard to find. Chrysler Pacifica has a lot of features, if you trust Fiat Chrysler's reliability. The Korean's make nice options for the price. For something a little different consider the Ford Transit Connect Titanium. Buy certified Pre Owned and let someone else take the $8k depreciation hit. Loaded Odyssey's are pretty luxurious and you can find them all day long for $30k lightly used. Thanks Dnslater for sharing your thoughts and experiences with mini vans. We've owned 1999 4Runner (which we still have) and a 1998 Navigator (which we sold in 2005). We've rented a Sienna several years ago. Might have to give the Odyssey a test drive. Not too sure about the Pacifica. 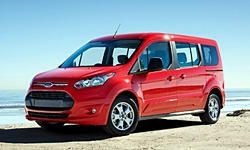 We also heard about the Dodge Ram Promaster Window van but that's another Fiat Chrysler product. And we'll have to check out the Ford Transit Connect offering.